Bengaluru based mobile payments app Momoe announced its partnership with with more than 35 grocery chains, extending its network to 60 stores in the city on Friday. The Momoe app works with a ride range of retail chains, ranging from restaurants, spas, salons, apparel, electronics outlets, and the auto segment in Bengaluru. The foray into the grocery space is an attempt to address the needs of new age women, the company said. Users can now make cashless payments from Rs. 20 to Rs. 4,000 for their grocery purchases, using the app to pay merchants from their phone. 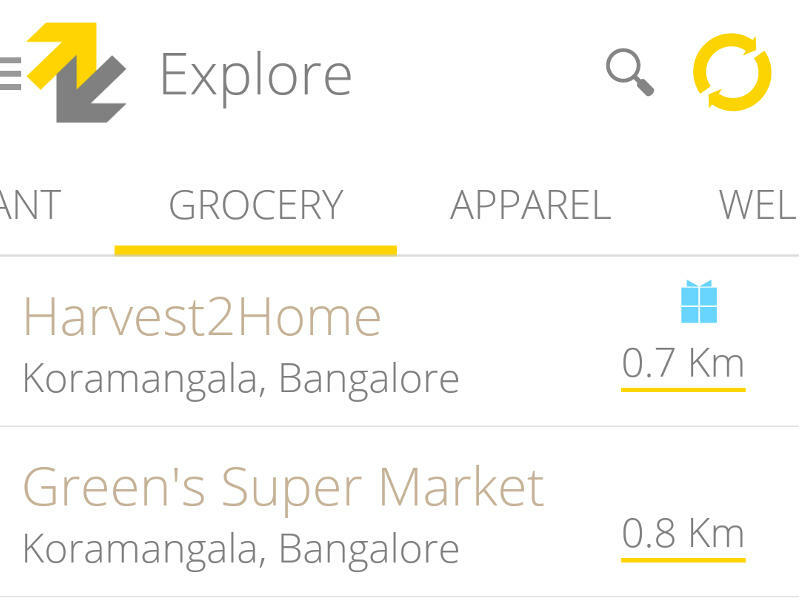 The Momoe app now displays a Groceries tab, with all the stores grouped by their proximity to the user’s location. The company said that it has more than 150,000 users using the app, with over 5,000 people paying with Momoe on their phones every week. Momoe is live at over 1,000 retail outlets in Bangalore, and supports credit cards, debit cards, and net banking. Utkarsh Biradar, CEO and Founder of Momoe said that the firm was trying to expand its capabilities to include all user touch points, from restaurants, grocery stores, apparel stores, spas, salons, to auto-rickshaws in the city. The app is currently testing out MomoeExpress, which brings a one-click checkout experience to payments. Users can reserve an invite to try the feature. Launched in August 2014, Momoe has raised $1.2 million (roughly Rs. 8 crores) in two funding rounds. Mumbai-Based Pointshelf, another player in this space disclosed its plans to add Bitcoin payments in September.